Chacha Control by Sapan Joshi : A versatile Card control for you to learn. 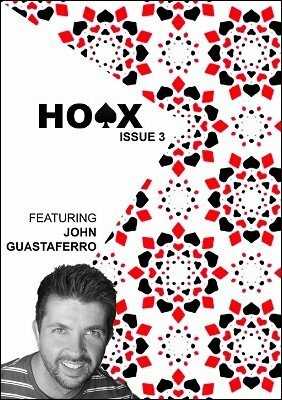 In the Limelight : John Guastaferro Interview. 1st edition 2015, 32 pages with photographs in detailed instructions. Issue 3 is chock full of good stuff. For those old to close up you'll find 'Color Blind' & 'Simple Sandwich' very old ideas that you've likely done already, but if your newer you'll find these excellent new ideas to ponder. The rest of the effects are all good. For the price it's an absolute steal. Sort of a rebirth of Apocalypse & Richard's Almanac but all cards. I enjoyed it and I think most will.